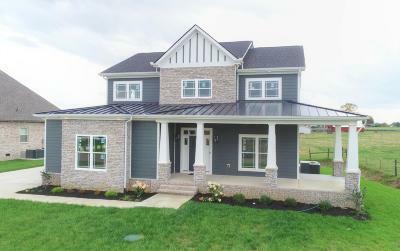 Brand New custom craftsman dream home with giant front porch. Smart home Tech. 4 or 5 bed, 4 bath + bonus room 2 beds down 3 up. Open concept living with coffered ceiling, fireplace, and custom built-ins. Exquisite kitchen with granite, tile backsplash, walk-in pantry and huge island. Spa Like master bath with tiled curbless shower and luxurious freestanding soaker tub. Back yard with 6 privacy fence backing up to farmland. Finance with FCM Mortgage and receive 1% of loan amount toward CC.